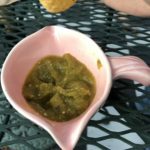 This chutney-like condiment can Served with turkey or game, as a garnish for ice cream, or on a cheese board. Great on a cold turkey sandwich too. I like to sweeten my oatmeal with a heaping tablespoon. 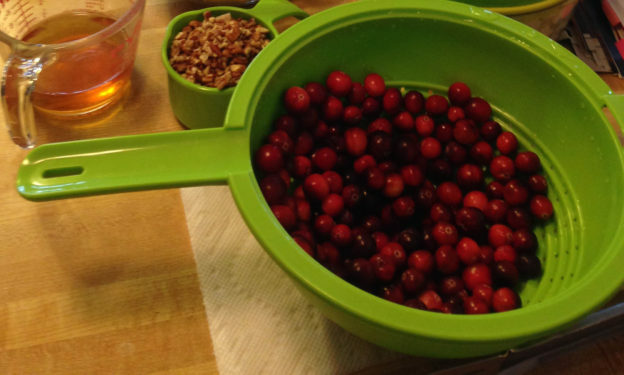 Bring water to boiling, add cranberries and simmer until the skins pop open. Add sugar and grated orange and lemon rinds and their juices and simmer together 15 minutes. Remove from heat; add pecans and sherry, stirring well to combine. Spoon into a glass container. Preparation Time: 2 1/2 hrs start to finish. Tripling this recipe makes 1 case of 1/2 pint jars. Prepare jars, lids, and bands for processing before starting. After adding the sugar and grated orange and lemon rinds and their juices cook until it reaches 220*f.
Spoon into self-sealing sterilized jars. 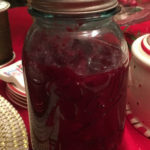 Fill to within 1/2 inch from top of jar. Process jars in boiling water bath for 15 minutes. Label jars and store in cool, dark, dry place. 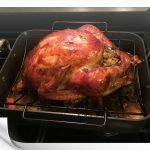 This entry was posted in Recipes and tagged christmas, cranberrys, Thanksgiving, Turkey on December 27, 2017 by TetonTrekker. Over the years I’ve read many techniques and recipes on how to cook a turkey. Taking the best parts of those reads, I’ve come up with this method. Many friends and family have asked for my recipe, so here it is. I do not like to brine, I think it adds too much salt to the bird. I do not use a bag, it boils the bird and gives it a different texture than roasting. I do not use an electric mixer for the potatoes, it gives them an odd texture. Use a high quality roasting pan, I use the Pampered Chef Roasting Pan. I earned mine at 60% off by hosting a party with a few years ago, but even at full price it is worth every penny. Once you roast a turkey in a high quality pan you can never go back. They last, no scratches, no nicks, no peeling, and when the turkey is done I move it to the cutting board and put the roaster right on the stove to do the gravy. If you don’t have a quality pan, any pan works with a few adjustments but be sure to keep the bird off the bottom of the pan with a rack or crumpled up foil. Temperature is very important too, if you even suspect your oven t-stat is a little off get a thermometer designed to hang on rack inside oven. Last year my turkey did not roast correctly, dinner was late, and the turkey was not so perfect. I found that my oven was sensor was bad and it was cooking at 30+ degrees cooler than I had set it to. 2 Bottles good quality Sauvignon Blanc. Buy a brand you would serve to guests. Remove turkey from refrigerator, let stand at room temperature for a couple hours. Roast 1 or 2 bulbs garlic for potatoes. 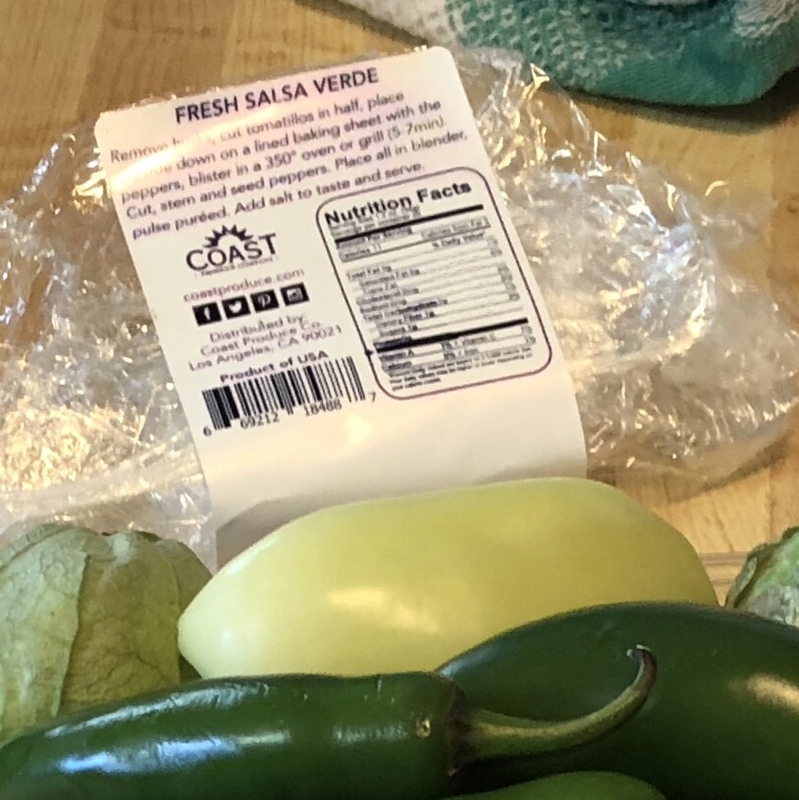 Cut off top of bulb, put in a small covered baker or casserole, (I use the Pampered Chef Garlic & Brie Baker), drizzle with extra virgin olive oil, sprinkle with sea salt, bake at 350º until cloves are soft, about 45 minutes to 1 hour. No covered baker? Another method is wrapping each bulb in foil and place in a muffin pan. Read over recipes and prepare a stuffing of your choice as directed. In a 3-qt. Covered Saucepan combine 1½ cups each chicken broth and Sauvignon Blanc, 1 stick unsalted butter, the giblets, a bunch each of fresh sage, rosemary, and thyme. Bring to simmer. Keep on lowest flame/setting possible. If your more of a ‘little of this and a little of that’ cook, the ratios are 1 can broth, 1 stick butter, and a half bottle wine. 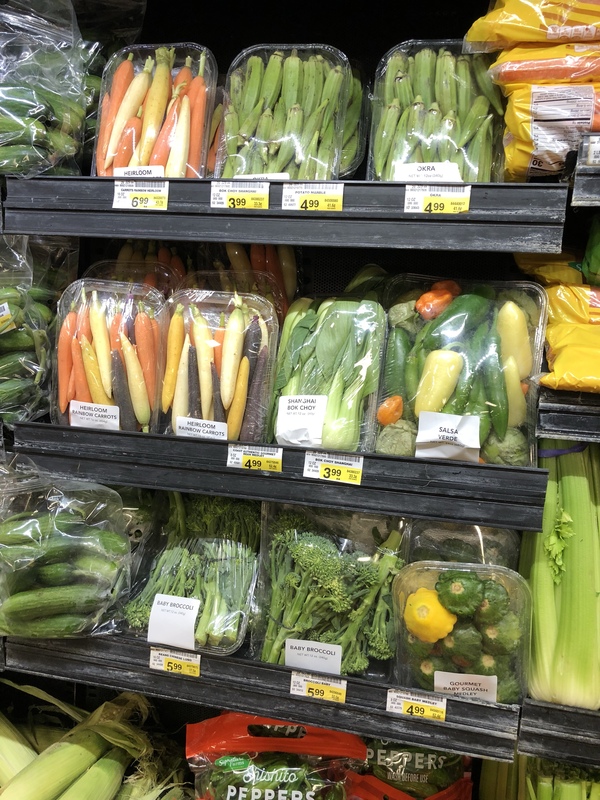 Prepare roasting pan by setting the rack in the pan and adding one onion cut in large pieces, 3 large carrots cut in large pieces, 3 or 4 stalks of celery cut in large pieces, the white and little bit of the greenish white part of 1 medium leek cut into large pieces. Add the neck, 2 large or 3 medium bay leaves and a small handful of fresh parsley. If you are a garlic lover you can optionally add 4 or 5 garlic cloves. Add ¼ to ½ cup of cold water to pan, just enough to barely cover bottom so the vegetables don’t burn in first half hour. Clean, pat dry with paper towel, stuff, and truss the turkey. Generously season with fresh ground sea salt and fresh ground pepper. I either buy a butter ball turkey or I use my Grandma Krejci’s method of slitting a hole in the skin over each breast, separate some of the skin from the meat with the back of a wooden spoon, and inserting several pats of unsalted butter under the skin. About 1 full stick total for a 18 lb turkey. Place turkey in roasting pan, you may have to move around the vegies to get it to set correctly. 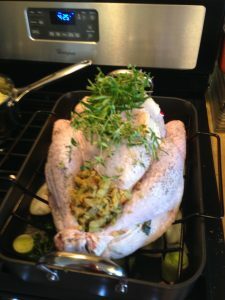 Place a bunch each of fresh sage, rosemary, and thyme on the breast. Cut a piece of cheesecloth big enough to cover the breast and legs of the turkey. Soak the cheesecloth in the simmering broth mixture. Use tongs and a fork to take the cheese cloth out of the hot simmering mixture and position over the bird, covering the fresh herbs, breast and drumsticks, but not the sides. 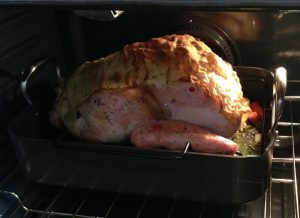 Place turkey in 425º oven. Prepare mashed potatoes: In a slow cooker, add one can (1½ cups) chicken broth, the white part of a leek finely chopped, the mushed up soft part of the roasted garlic, and 6 – 8 large Idaho Potatoes cut into medium pieces. I prefer to scrub the potatoes with a brush rather than peeling them, the skin adds flavor. Do not overfill crock pot. Add more broth if needed, but do not cover with broth, the level should be about 1 to 2 inches from top of potatoes. Set slow cooker on low for 6 hours or high for 4 hours. 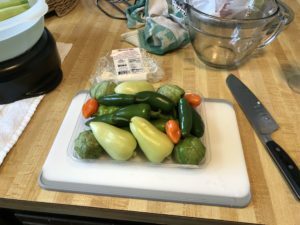 – I used the Pampered Chef Rockcrok® Slow Cooker Stand and Rockcrok® Dutch Oven. It was perfect for 8 Idaho potatoes oh high for 4 hours. Generously baste turkey using a ladle, be sure to moisten all of the cheese cloth. Close oven door and reduce temperature to 350º. Generously baste every 30 minutes (use a timer) with the broth mixture, NOT using the drippings for basting. Add 1½ cups each chicken broth and Sauvignon Blanc and 1 stick unsalted butter to simmering mixture as needed through out day, removing the giblets when they are done cooking. If your stove does not have a low enough setting, after simmering a bit I turn off the burner and set the pan next to the oven vent on top my stove, turning back on each time I add more stuff to the mixture. Remove the cheese cloth from the turkey before basting. Check the potatoes, they should be soft. Drain and reserve the liquid from the slow cooker. Add 1 stick unsalted butter and one lb of sour cream. Mash and stir well, adding salt and white pepper to taste. The mashed potatoes will seem a little loose but will set up while cooing on low until dinner is served. Use remainder of broth mixture to baste the turkey, the roaster should have lots of liquid by now. Remove the turkey from pan and let sit at room temp for 30 minutes. 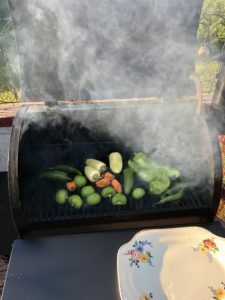 It will continue to cook a bit as it sets. Use tongs to remove all the vegies and neck from the roaster, putting them into a glass bowl to cool before trashing. Pour/strain the drippings into a gravy separator, you should have plenty of drippings for gravy. Let separate. 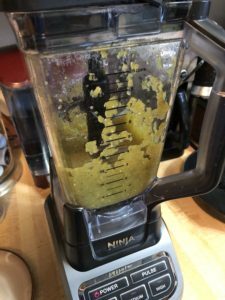 If you do not have a separator strain into a large measuring cup or bowl and let sit until separated, then using a large spoon to scoop off the fat into another bowl. 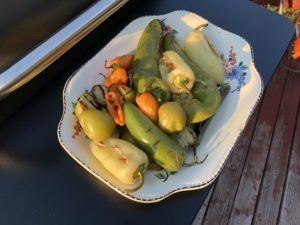 Put the roaster directly on stove, add several tablespoons of the fat back into the roaster, (or sauce pan if roaster is not suitable for direct cooking), and add flour to make a roux, about equal to the fat, and mix with a whisk. Simmer, whisking the roux constantly while it cooks, the mixture will begin to thin and darken after several minutes. Slowly pour the separated drippings back into the roaster, less the fat, whisking the whole time. Also add the reserved liquid from the potatoes. If you need more liquid use more chicken broth. Simmer stirring with a whisk until the gravy is at the consistency you want. Taste before seasoning, you should not need much salt and pepper if any, it picks up the salts and seasonings from the roasted bird. If you like giblets in the gravy chop them into small pieces and add them with the liquids. Use the stuffing Recipe of your choice. I like No. 38, Southwestern Cornbread, from Food Network 50 Stuffing Recipes. I cut the recipe in half and have plenty for a bird 20 lbs or less. I do not sell Pampered Chef, I have a friend who does. I love good quality cookware and especially like it when a friend or small business person benefits from my purchase. Click here for Jennifer’s PC page and be sure to tell her I sent you. 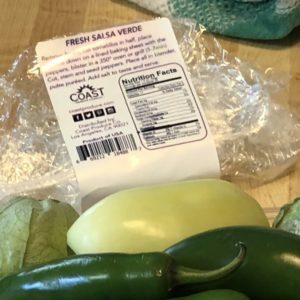 This entry was posted in Friends & Family, Meandering Scribble, Recipes and tagged Cooking, Pampered Chef, Thanksgiving, Turkey on November 26, 2016 by TetonTrekker.